- Iceland 24 - Iceland Travel and Info Guide : A trip from Isafjörður to Hólmavík - Enjoy the Westfjords! A trip from Isafjörður to Hólmavík - Enjoy the Westfjords! 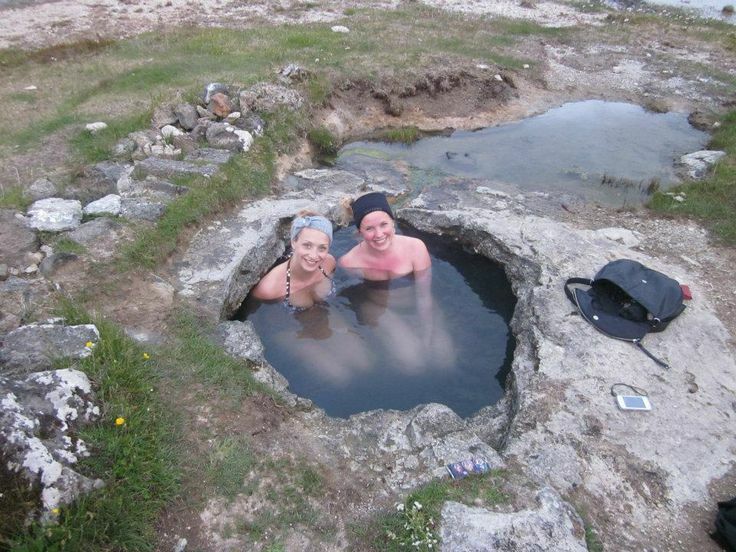 Some Icelandic holidays lead to the Westfjords. You don't have to figure out how to drive this route; there's just one road that goes from Isafjörður to Hólmavík. You'll be stunned and amazed; here are some ideas that might inspire you on your trip. 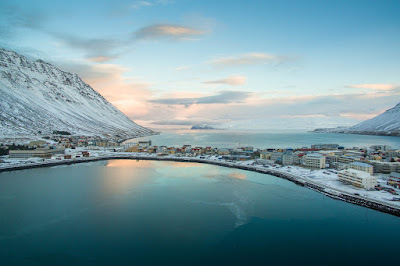 Isafjörður is the capital of the Westfjords and has nearly 2600 inhabitants. It's a charming town, with shops, cafes, restaurants and hotels. The old town is made up of many wooden houses dating back to the nineteenth century, and it's lovely to walk its streets. 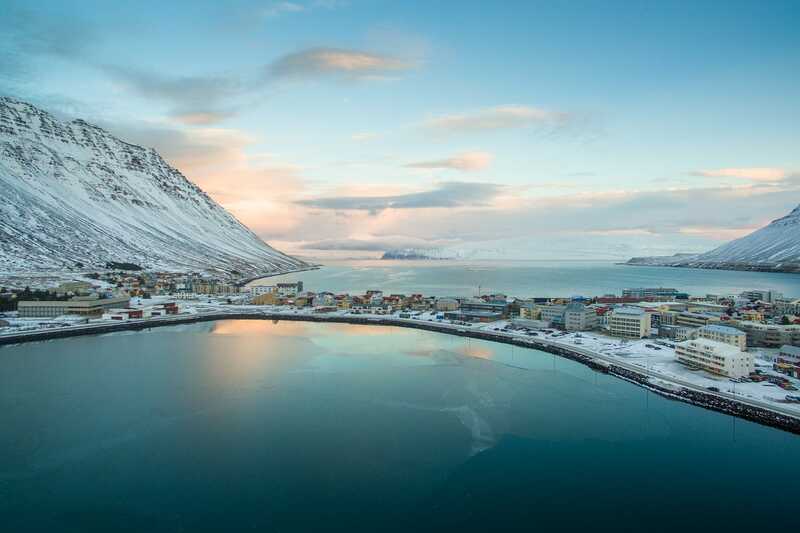 If you're keen on history or fishing, you'll enjoy a visit to the Maritime Museum where you'll be informed about how the fishing industry has contributed to the prosperity of Isafjörður town. The old hospital is now a cultural center that offers various exhibitions throughout the year; daily afternoon visits are possible. The city also offers many opportunities for walking and hiking. Try the interesting ten-kilometer walk from the old road Ísafjörður to Bolungarvík, if your driving you go through the mountain tunnel. 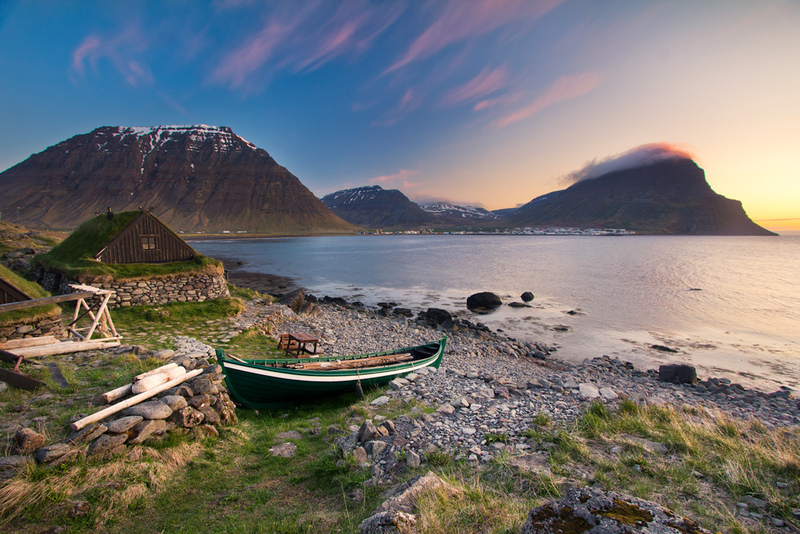 Bolungarvík is a small village with a very similar fishing harbor as Isajörður and houses a natural history museum. In the natural history museum, you can see a stuffed polar bear that ventured into this part of Iceland a few years ago. The coffee shop at Einarshúsið (Einar's house) Guesthouse is the only one in the village. Located in this beautiful historic home, the very friendly owner never fails to show items related to seafaring he keeps in his basement, including the steering wheel from the famous ship Pourquoi Pas, which ran aground in Iceland in 1936, found by a local man a few years ago. On the other side of the fjord, you'll discover the small village Suðureyri, which doesn't look like there's much to it, but do check out the public pool that fantastically sits near the mountains and the sea. Walk through the village until the end of the road and see the fjords end and its spectacular scenery. Starting again from Isafjörður to Hólmavík, and a stop at The Arctic Fox Centre in Súðavík is well worth a visit. Volunteers working at the center are enthusiastic and educated, teaching visitors a lot about these soft furry animals. The center keeps two young polar foxes in a small park outside that you will find both interesting and entertaining! Halfway between the two towns, is a twelve-kilometer trail that leads you to the green paradise (or white in winter) Heydalur, a mini holiday centre in Iceland. Rooms, restaurant, hot springs and many animals (including a parrot that greets you in Icelandic) makes Heydalur a comfortable refuge for a few nights. A little further along is the Reykjanes pool that is as pleasing as the Saltverk salt produced in the same place. Along the road, you'll be able to admire a colony of seals that are often basking on the rocks along the shorelines in the Westfjords; it's good to have binoculars with to admire them. A kilometer away, the historic farm Litlibær offers visitors, coffee, and a waffle for only a thousand crowns. Hólmavík is the starting point (or return) for travelers who visit the Westfjords, especially those who go hiking in Hornstrandir. The activities are numerous, and the pool and the museum of witchcraft are very popular amongst visitors.